Liverpool thrashed Arsenal 5-1 at Anfield yesterday to remain at the top of the league table. They now have 54 points from 20 matches, and have extended their lead over second-placed Tottenham Hotspur to 9 points, as the latter slumped to a 1-3 defeat against Wolves. 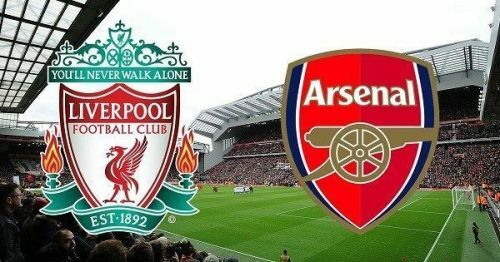 Arsenal had 52 percent possession in the match, and were the first team to score, but Liverpool came back very strongly and scored 4 goals in the space of 30 minutes in the first half. They led 4-1 at half-time, and scored another goal in the second half to complete a resounding win. Roberto Firmino scored a hat-trick, while Mohamed Salah & Sadio Mane added one each in a brilliant performance that reaffirmed the Reds’ status as the best team in the Premier League. Arsenal meanwhile suffered one of their biggest defeats ever against Liverpool. They remain in 5th position on the league table, with 38 points from 20 matches. We now look at 3 talking points from the match. 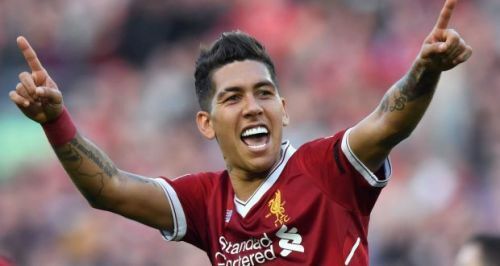 Firmino has played second fiddle to the likes of Mohamed Salah and Sadio Mane for the majority of the ongoing season, but got rewarded handsomely for his hard work yesterday. He scored the first two goals in the 14th and 16th minutes respectively, with his agility and quick movement inside the box. Those two goals underlined his ability and opportunism as a striker. He completed his hat-trick by converting a penalty, and now has 59 goals from 171 matches for Liverpool. The Brazilian is definitely one of the most hard-working forwards in the Premier League, and has a habit of falling back to the midfield repeatedly in order to help his team win balls. In the second half as well, when Liverpool had already secured a victory, Firmino continued his hard work by dropping down and retrieving balls frequently. For a majority of the second half, Liverpool adopted a 4-5-1 formation with Firmino on the left side of the midfield, Shaqiri on the right, and Salah as the lone forward. Salah and Mane, the other two forwards of Liverpool, have already been among the goals this season, and Firmino’s excellent performance yesterday would further assure Jurgen Klopp.